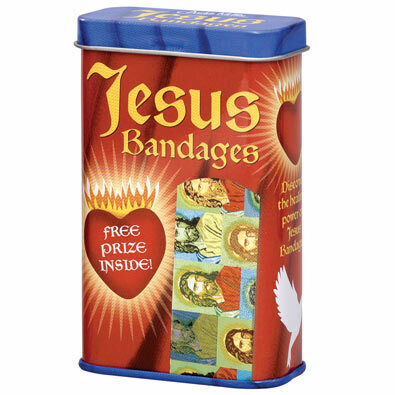 Protect minor wounds with the healing power of a Jesus bandage. Each metal tin contains 15 sterile, latex free, 1" x 3" bandages. Each tin has 15 high-quality sterile bacon shaped bandages and includes a prize to help take your mind off your boo-boo. Bandage size is 1" x 3".